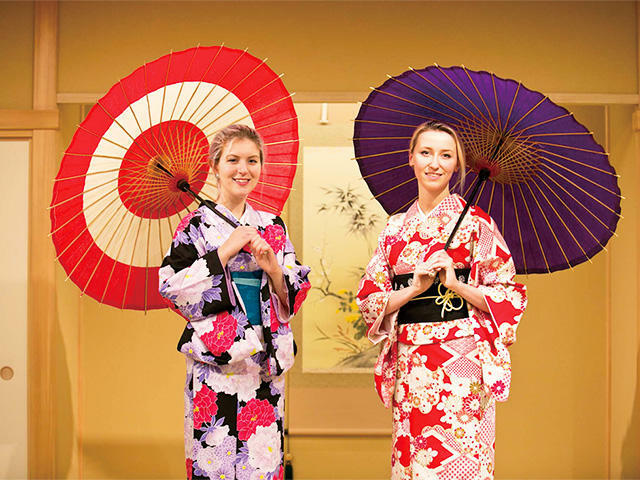 Spend an unforgettable day in Nihonbashi dressed in a beautiful kimono. Choose your favorite from a colorful array of kimono and obi, after which a professional fitter will dress you to look your best. Take photos inside a Japanese tatami room with props, or take a stroll around town in your kimono. Mitsukoshimae Station (Direct access - 1 min. walk from Mitsukoshi gate of Tokyo Metro Ginza Line, or 2 min. walk from Tokyo Metro Hanzomon Line) Shin-Nihombashi Station (Direct access - 5 min. walk from JR Sobu Line (Rapid)).